My mother-in-law Janie recently celebrated her 80th birthday. Her health is declining and her memory is faded, but we are blessed to still have her in our midst and we treasure those moments when she seems to engage with us and enjoy our company. 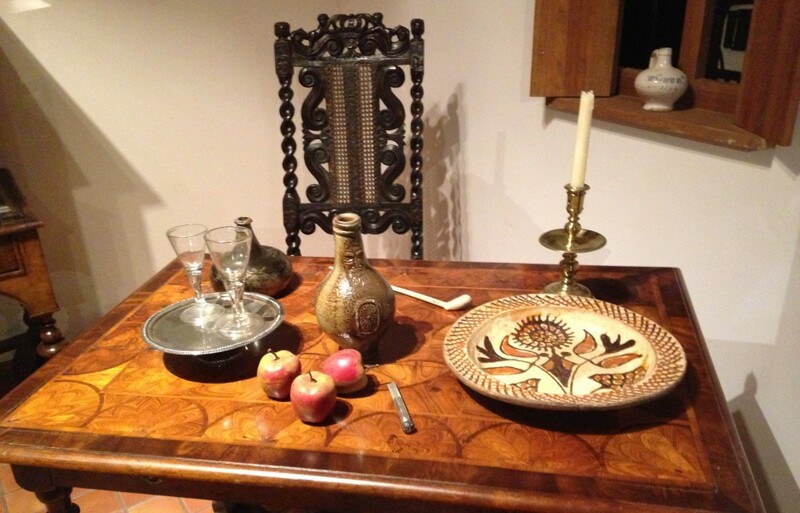 The first is the Breakfast Dish. I’ve actually lightened this one up a bit by using whole grain bread, and turkey bacon, reducing the amount of cheese and eliminating the salt and the STICK OF BUTTER that Janie says should be poured over the mixture before baking. I have made it the original way and it’s just too greasy and salty for my tastes but… to each his own! In the Hursh family, this is typically served on holiday mornings because it has to be made the night before and let to “soak” overnight in the refrigerator, making for an easy yet hearty breakfast. 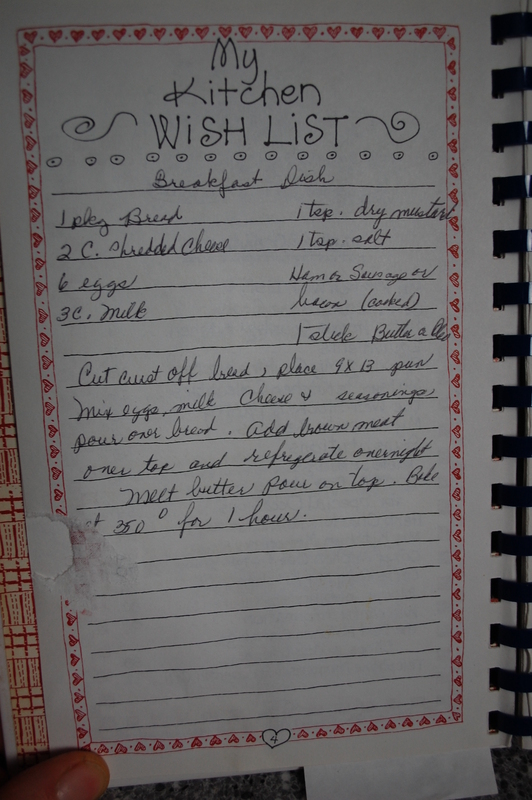 The page with the recipe written down by Janie. 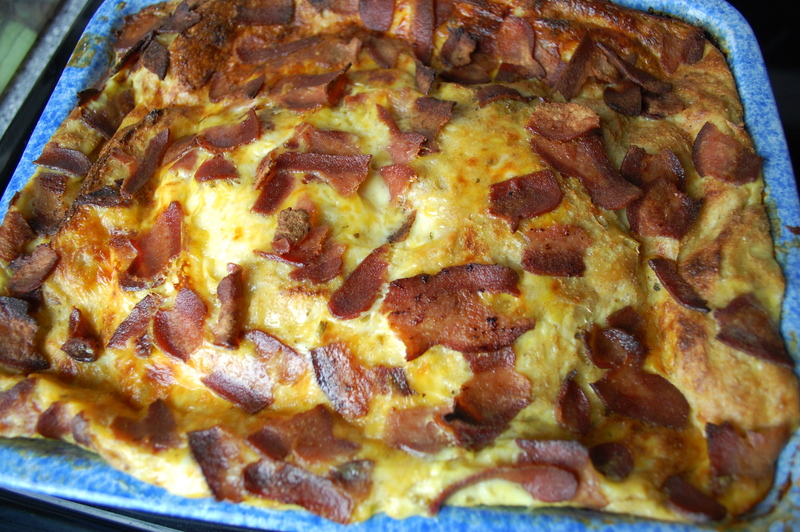 Pour the egg mixture over the bread and top with cooked breakfast meat. 1 package ham, or cooked sausage or bacon, chopped into small pieces. 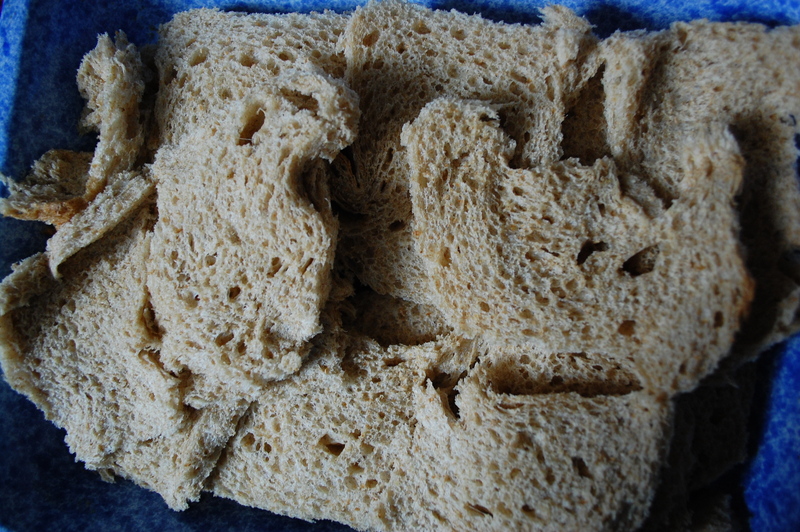 Place bread into 8×11 inch pan in overlapping layers. 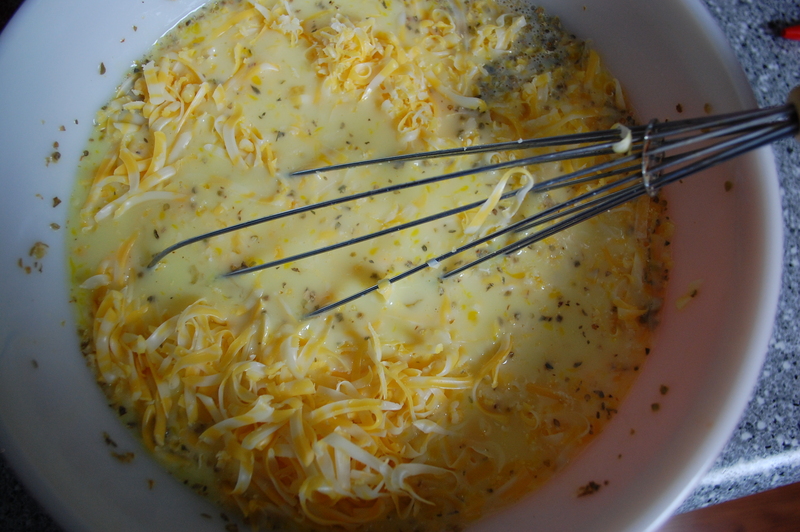 In a large bowl, beat the eggs and them combine them with the milk, spices and cheese. Pour that mixture over the bread and then top it with the cooked meat. Cover and let it sit overnight in the refrigerator. 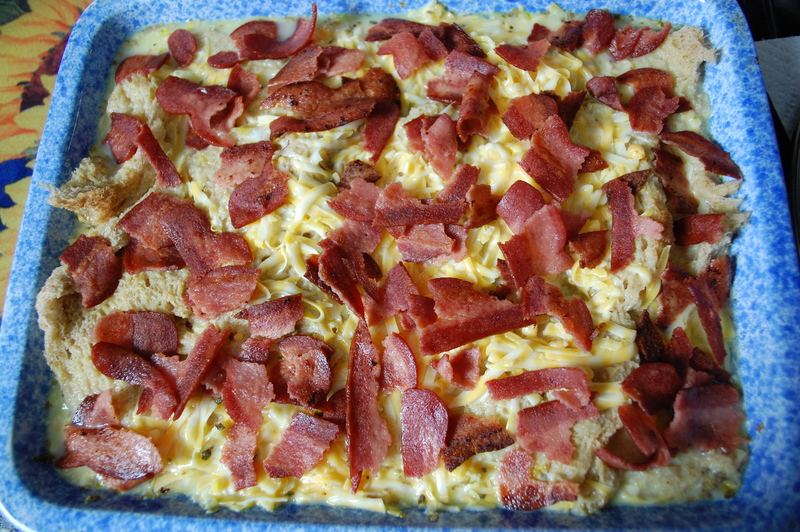 In the morning, place the casserole in an oven preheated to 350 degrees. Bake one hour or until the middle of the casserole is cooked through and a toothpick comes out clean. Serve and enjoy! Finished dish-it puffs up like a souffle!